After a brief respite we’ve arrived to the first big clash of the series, which offers an opportunity to all the exceptional digital animators tied to this project to prove their worth. Things are heating up, and the episode all creators keep hyping is coming next! 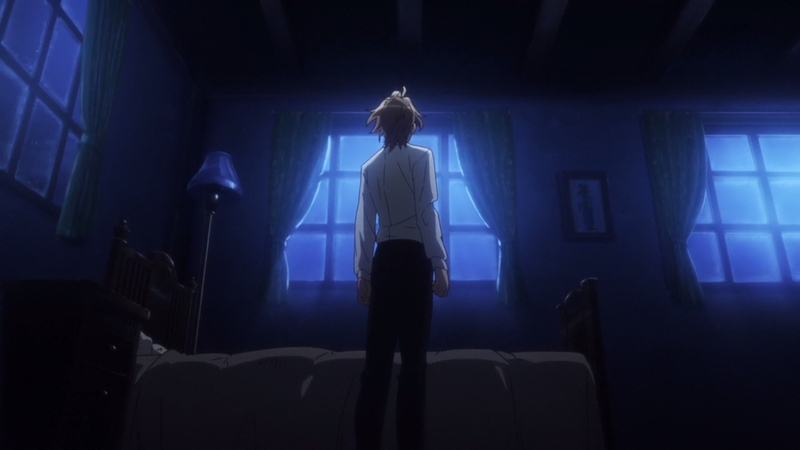 — While this was a visually restrained episode that served as a breather – both for the staff themselves and to prepare the audience for the hectic events coming up – it did mark the return of series Yoshiyuki Asai to storyboarding duties for the first time since episode 2. 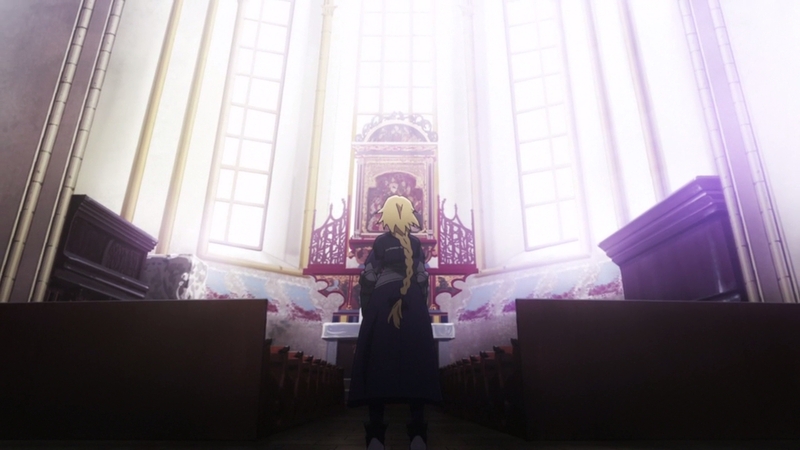 When compared to other notable productions this season, it’s clear that Apocrypha‘s leader isn’t taking a very hands-on approach with the show; Asai instead entrusts reliable acquaintances with most of those frontline tasks, while he supervises the whole project and tries to salvage the questionable schedule they’ve been given. 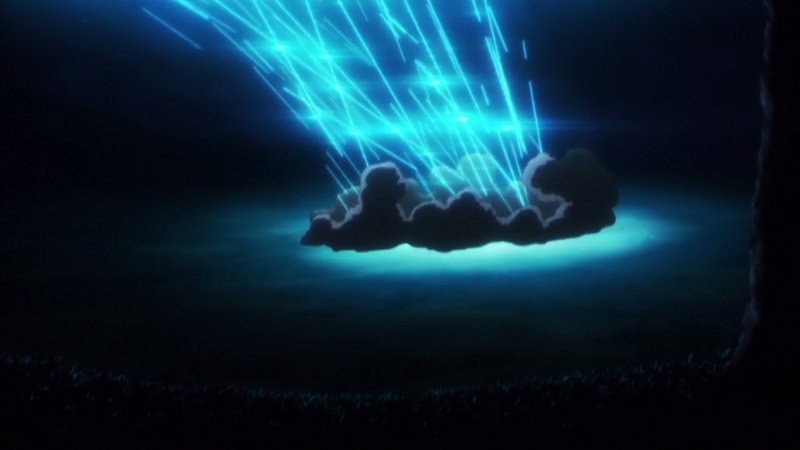 That’s closer to how most shows tend to operate, but it’s a bit of a pity considering his storyboarding prowess. A simple look at his work this time around makes some quirks of his particularly noticeable. He’s got such a nice sense of staging! — Sometimes I still find myself surprised by neat attention to detail during seemingly minor moments, in particular when it comes to the animation itself. 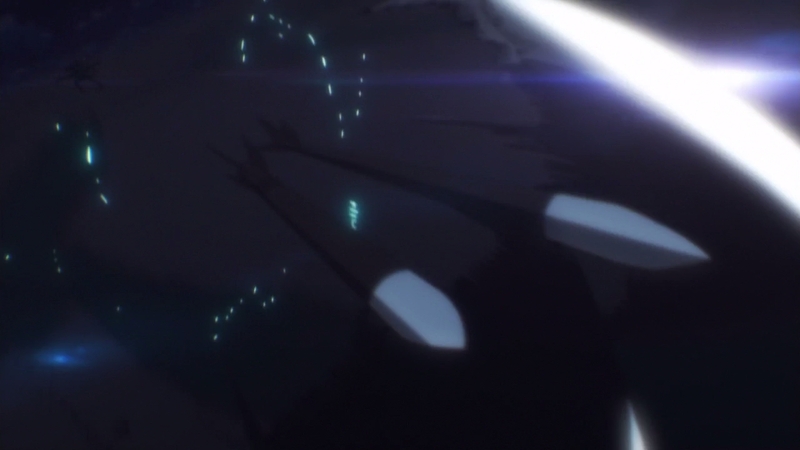 Fiore’s need to shift her momentum and regain her balance upon landing is barely perceptible and definitely going to be missed by most viewers, yet someone felt the need preserve it. Bravo! 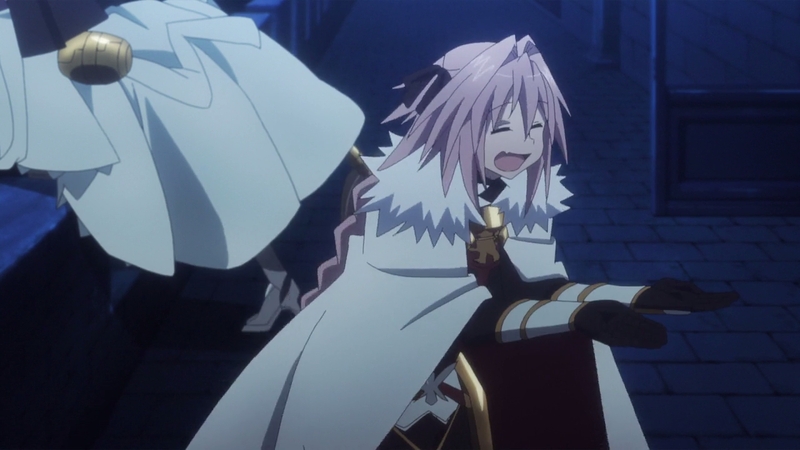 — Astolfo made a good face immediately upon his return. This show gives the audience what they want after all. — After many weeks of speculation about the health of the production, based on the comments by the creators and the results they ultimately output, it’s safe to say now that it really is just barely keeping itself afloat. 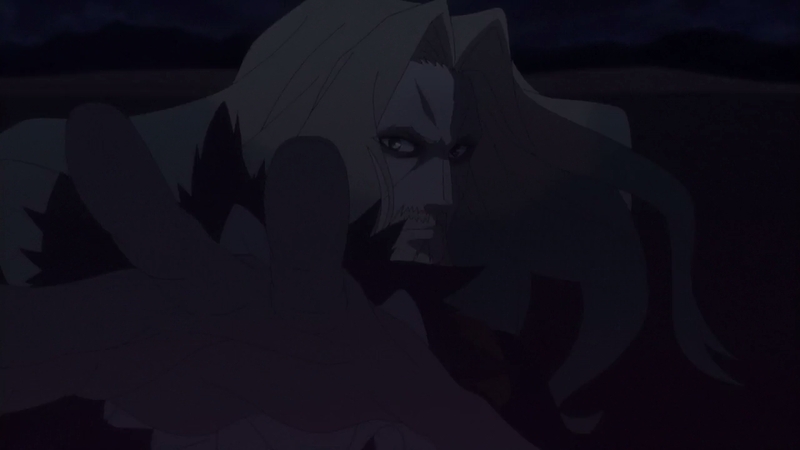 The credits this week are telling enough as it is, but chief animation director for this episode Hidekazu Ebina also mentioned on Twitter that it was only bruteforcing their way through it with the help of multiple ADs that helped them pull through in the end. A kinder way to interpret this is that they wanted to wrap up this ASAP so everyone could move over to help on episode 9 – which all the main staff and Takahito Sakazume in particular have been hyping up as a super important episode no one can afford to miss – but even would be a sign that the schedule requires rushing staff from episode to episode as opposed to a properly maintained rotation. 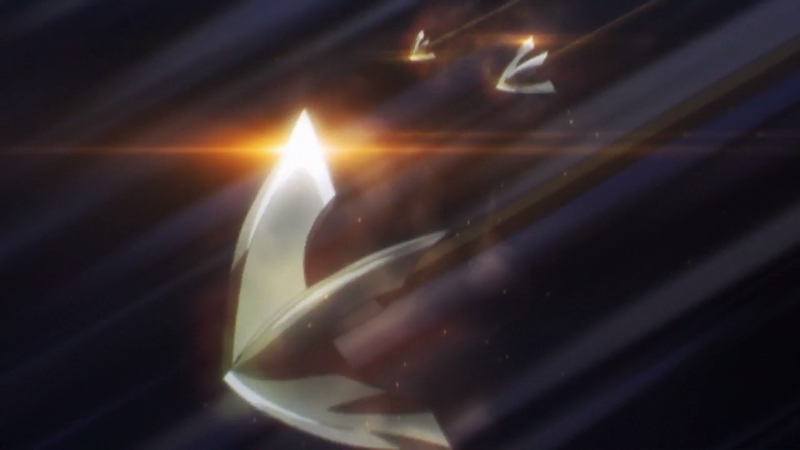 — I previously mentioned that impact frames have become so commonplace within the show that it’s not quite worth pointing out every single instance of them, but of course it’s always worth giving a mention to their most effective usages. 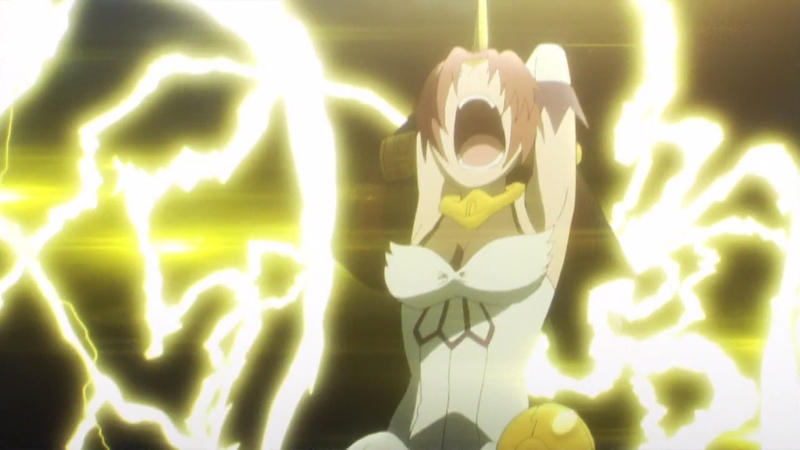 This tends to be the case more often than not when they serve as the signal towards the activation of a servant’s Noble Phantasm, and Atalanta’s Phoebus Catastrophe is no exception. 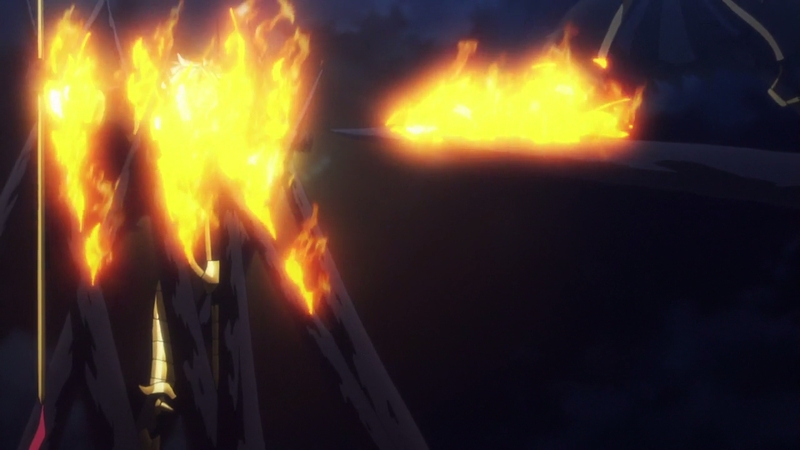 I feel that the drawings in these frames themselves are just as important as the effect they’re intended to create, and here they’ve maintained enough detail to see her fingers release the arrow before the explosion of light rather than drowning everything out immediately. A nice way to kick off what will easily be the biggest clash in the show thus far! — Alas, said clash is more a compilation of isolated highlights condensed into the first half rather than one cohesive setpiece. 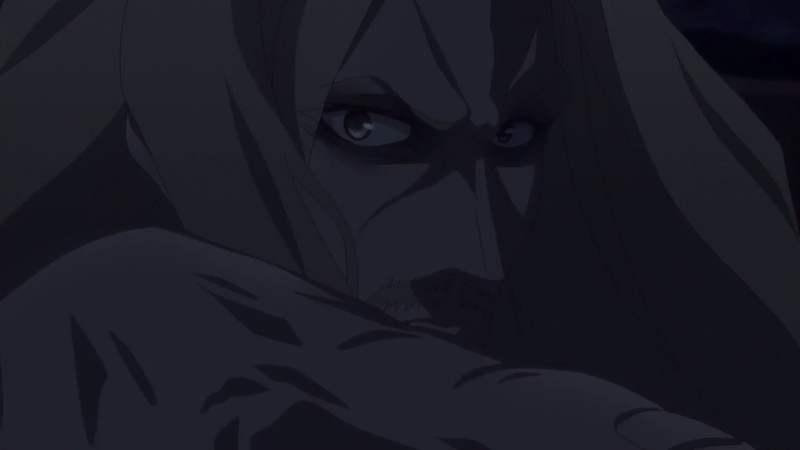 To make it even worse, one of the major moments with Atalanta and Karna squaring off against Vlad is ridiculously dark at the beginning, to the point of genuinely making it hard to parse. 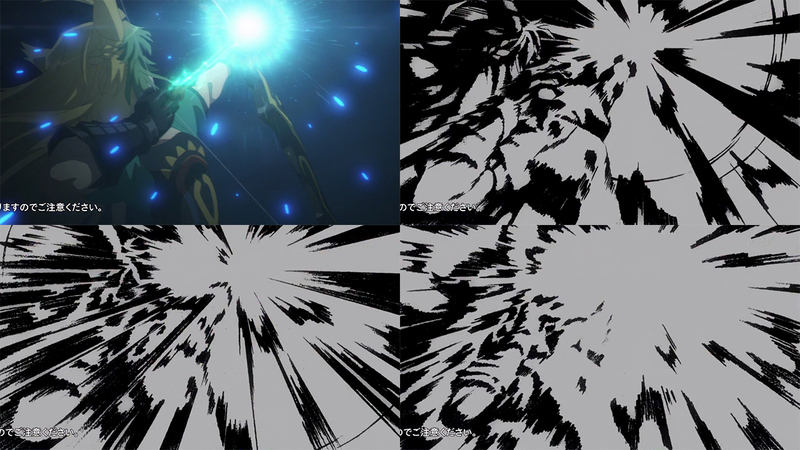 A shame, considering there’s a number of little details packed into these cuts: thinner linework and a complete lack of outlines in points (giving the drawings a flatter appearance, finally closer to notable webgen projects such as Yozakura and Yatterman Night) contrasting with thicker variations, as well the dynamic angle following Atalanta’s initial shot. 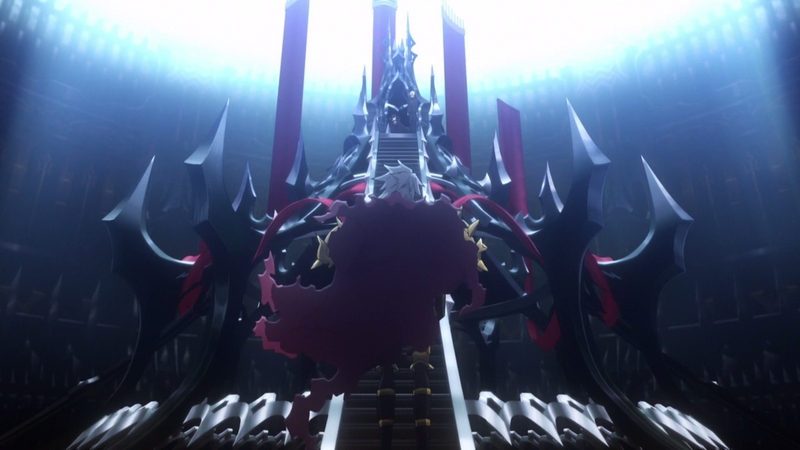 The scene brightens up after this, making it much easier to appreciate the sense of depth as Karna gradually makes his way from the background to the foreground while cutting down Vlad’s spikes. This show regularly suffers from having all the ingredients to prepare an excellent piece of action, but tragically dropping them on the way to the kitchen. Here’s hoping that the next one which all the staff swears by truly lives up to its potential. 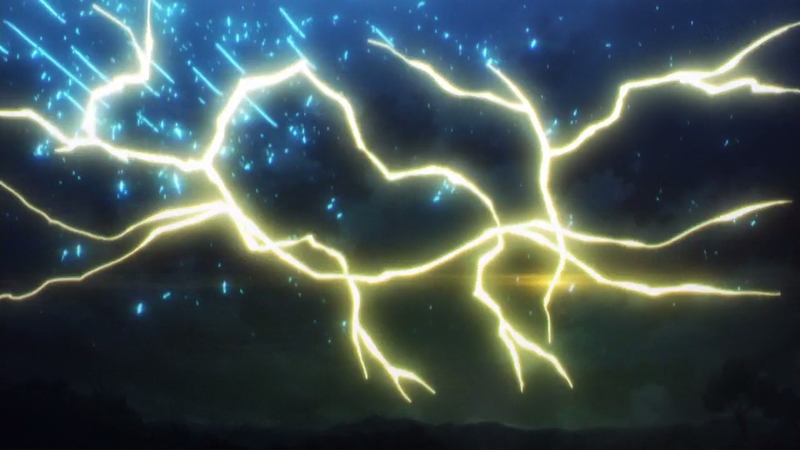 — I brought up the use of Kutsuna Lightning to symbolize Mordred’s fiendish speed back in the first post on this series, but she’s not the only one that’s been appointed special attributes. This episode works in tandem with hints that we’d received previously to tell the viewers what they should associate with other servants as well – Fran, Karna, and Atalanta, to be specific. 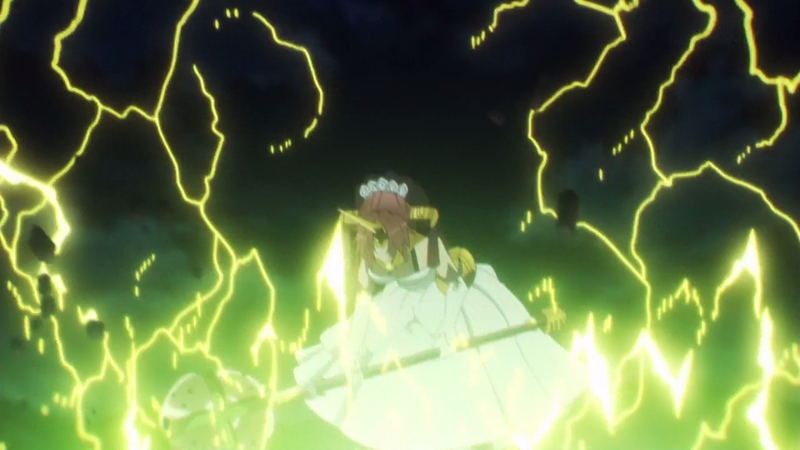 In Fran’s case it’s the particularly shaped raging lightning itself that defines her strength, completely unhinged by nature of her Berserker class. 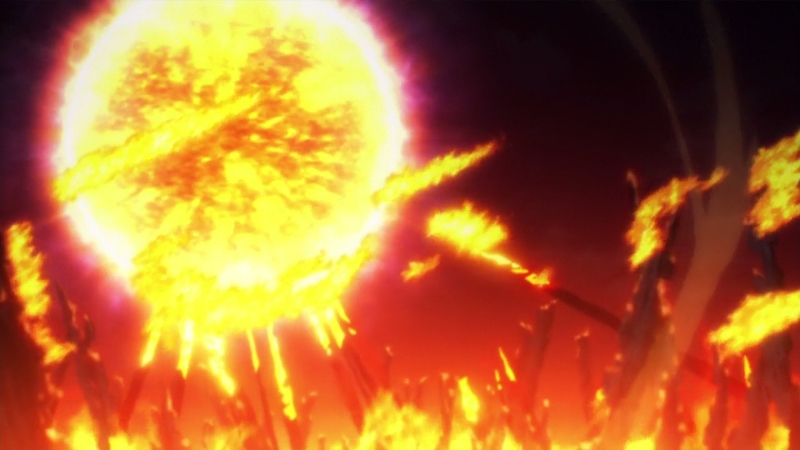 Karna’s searing flames already stood out in his fight with Siegfried, but the inferno he causes with little effort here makes it a trying task not to consider the flames as one of his defining traits. 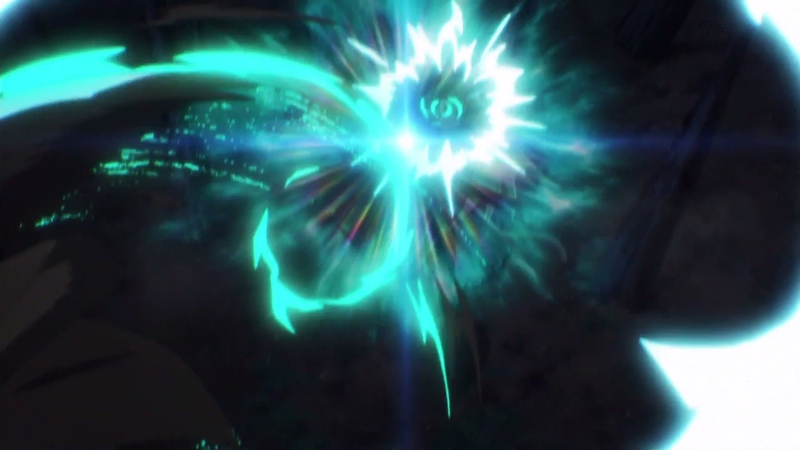 And in Atalanta’s case, it’s the glorious azure FX that are tied to her each and every shot, whether they be a part of her Noble Phantasm or not. 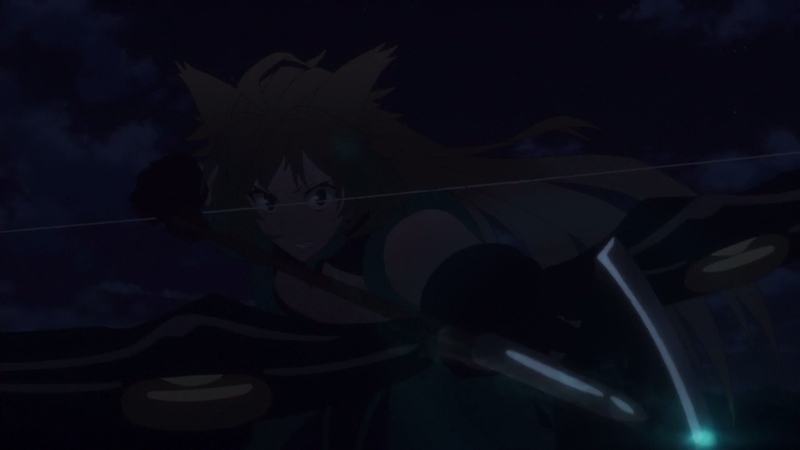 Atalanta’s case is probably my favourite of the three, largely due to how well it works in contrast to the simple gleam of Chiron’s arrows – effectively highlighting the destructive force of Atalanta’s archery in contrast to Chiron’s use of deadly, pinpoint accuracy. 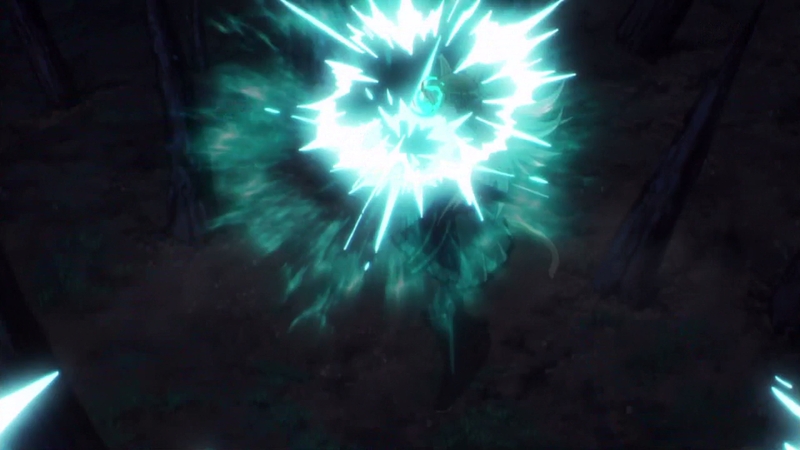 It’s not all that uncommon to have design sheets for the effects animation, as even this season’s comedy series Magical Girl Guru Guru has its own, but Apocrypha seems fairly thorough in noting all the precise shapes, color and feeling of all FX. And sure that does restrict the artists to some degree, but the consistent vocabulary really makes us feel like those powers really belong to their users. — Mordred and Shishigo continue to provide hilarious moments that feel natural even in the midst of serious events, this time through Shishigo screaming in terror while Mordred confidently powers a beat up car towards the battlefield in a display of driving skills that would terrify even the cast of Initial D. Despite being a Saber-shaped ball of anger, Mordred keeps on bringing levity to a series that might have been exhausting otherwise. What impresses me the most about episode 8 is how they actually DREW the car and didn’t simply rely on a 3D model for it. Same can also be said about episode 5/6 and the car in that. Was that something they chose to do? Or was it just impossible to go the 3D route? Either way, I suspect there’ll be a substantial reworking of the episodes up to this point on BD.